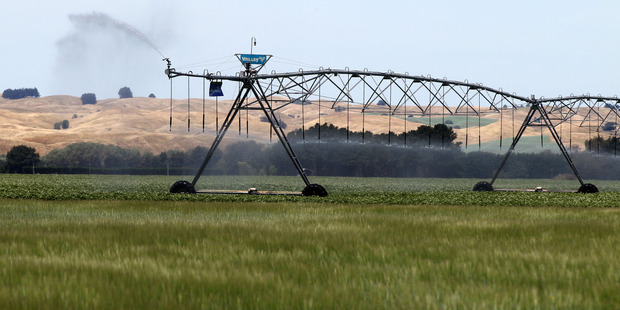 Concerned members of Hawke's Bay primary sector have waded into the debate on a Labour Party proposal for a royalty on commercial water. This royalty would include water bottlers, and farmers taking water for irrigation schemes. Although Ms Ardern assured she was committed to working collaboratively with farmers to find a "workable solution" which would ensure they prospered, this has not quelled fears for those in Hawke's Bay's primary sector. "As with all costs associated with growing, they are absorbed into the price to the consumer, so while the Labour policy is to tax growers, essentially those costs will be borne by the consumer in the price of food," she said. Her concern was echoed by Federated Farmers Hawke's Bay president Will Foley, who said it would place more costs on to farmers, meaning the consumer would have to pay more. "It could drive farm policy. [Farmers] they could say it's going to cost us more, we're going to have to change our practices and potentially intensify to try and get a better return on whatever it is they're farming to match those increased costs." Although he was glad Labour would be consulting on a rate, he thought the regions' farmers would be "pretty worried and concerned" about the proposal. "The real concern is where it's going to end up, but it seems to just be targeting water bottlers and farmers so I guess the question probably is why those two industries are just getting targeted and no one else," he said. Labour's water policy also promised changes to farming models, saying that farms near waterways would have to move away from high stocking levels and focus more on "adding value". It sets a five-year deadline for farmers to fence off all intensively stocked land near waterways. To assist farmers, Labour would get youth to help out with fencing, riparian planting and other measures to improve water quality.